As Sussex fell silent to pay their respects to the fallen, we have collated a selection of images showing tributes to those who gave their lives. 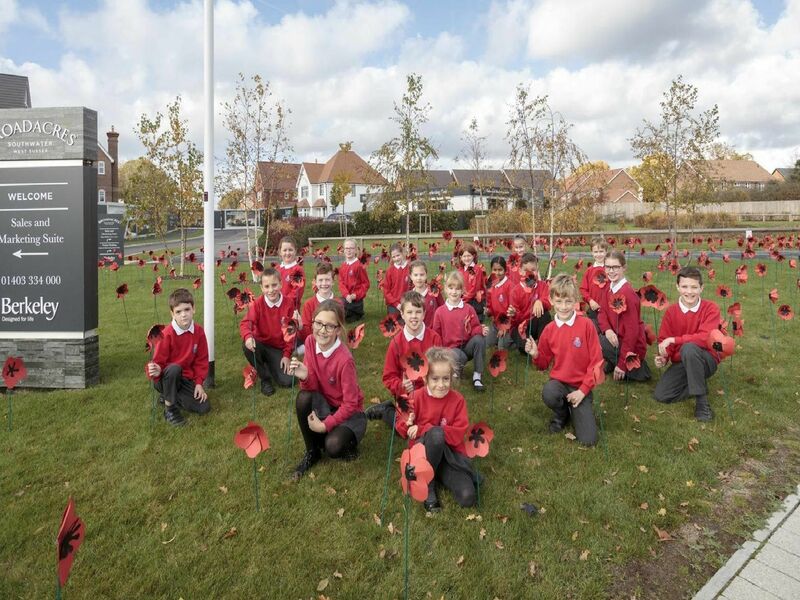 Schools and community groups from around the district have worked hard on special commemorations to mark 100 years since the end of World War One. The Saturday before Remembrance Day, 140 Beavers, Cubs, Scouts and Explorers together with leaders and parents from 2nd Southwater Scout Troop visited the Imperial War Museum in London to understand the toil and sacrifice of those who had served in uniform or worked on the home front. Loxwood School held a remembrance assembly with poems, singing and a minute silence. Each class made a wreath of poppies. Parents, teachers and members of the community joined in by helping to knit poppies which were added to the remembrance display. Children at Trafalgar Community Infant School in Horsham created poppies and wreaths and joined together for a one-minute silence at 11am on Friday November 9. The Centenary Garden at Cranleigh was opened on Saturday November 10 to commemorate the 415 lives lost in conflict from Cranleigh and the surrounding villages.